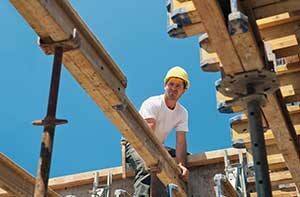 The rate of fatal injuries for construction workers is high in all industries. 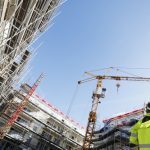 According to the OSHA (Occupational Safety and Health Administration), around six and a half million workers are employed at more than 250,000 construction sites across the country. The most common dangers faced by construction workers include falls from heights, exposure to electric shock and arc flashes or blasts, negligence during the use of protective equipment, trench or scaffold collapses and recurrent motion injuries. Additionally, the workers also have to work in extreme temperatures or cope with exposure to poisonous gases and falling objects. To top it all, accidents also happen with power tools or as simple a thing as using ladders. In short, construction workers face grave dangers that can both be fatal on one hand and seriously hazardous on the other. OSHA has outlined 10 primary standards (as per the agency’s citation in FY 2004) to avoid grievous accidents that include regulations about the scaffolding, ladders, excavations, hazard communication, fall protection, construction, electrical equipment and head protection. A huge segment of the construction worker industry lost their jobs between 2006 and 2009 during the decline of the US economy when the residential housing industry collapsed, and millions lost their homes because they could no longer pay the mortgage attached to rising interest rates. In the last few years, the need for new houses, remodeled homes, and commercial properties has increased dramatically causing an increasing need to fill an average of 225,000 construction jobs every month. 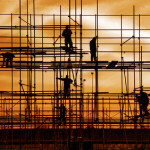 Statistics maintained by the US Bureau of Labor and the National Association of Homebuilders show that more than 2.3 million jobs were lost in the construction industry in the five years between 2006 and 2011. Many of these workers had to permanently move away from their construction job and seek employment in other industries, which significantly decreased the number of skilled contractors and laborers trained in framing, bricklaying, concrete work, plumbing, electricity, drywall, roofing, and other needed construction occupations. Streamwood, Illinois – A 22-year-old Gurnee construction worker Brett Morrow died while installing a fiberglass liner in a sewer pipe that prevents leaks. The worker was fatally injured after being hit by a large horizontal pipe that blocked access of others to help the victim. Immediately after the accident, the injured worker communicated with others at the scene but was found unresponsive by emergency responders when they arrived. OSHA (Occupational Safety and Health Administration) is investigating the incident that trapped the injured victim about 25 feet into the pipe, making it difficult for rescuers to reach him to provide care. The sewer pipe liner became crumpled and hardened, which blocked access to Morrow. Rescuers from the Streamwood Fired Department cut the liner apart to successfully pull the victim out almost four hours after arriving at the construction site. 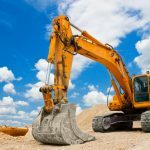 Hobart, Indiana – A 62-year-old South Haven construction worker, Guy Holk, died in an evacuation site accident in Northwest Indiana on November 1, 2017, after being pinned against a wall by the bucket of an excavator. Hobart Police Department Lieutenant James Gonzalez stated that at approximately noon, emergency responders were called to the area of Pennsylvania Ave. And Lakeshore Drive where a construction crew was replacing sewer lines. When responders arrived, the victim was found unresponsive and pronounced dead at the evacuation site at 1:38 PM by the Lake County coroner’s office. Automobile accidents cause unwanted consequences that could lead to permanent injury, loss of earnings, a disruption in daily living or a loss of life. Information released in 2009 by the U.S. Census Bureau revealed that nearly eleven million automobile crashes occurred that year in America. In recent years, the U.S. Department of Transportation and the state of Illinois have placed a much greater emphasis on roadway safety focusing on technology and statistics to minimize the number of accidents. Automobile crashes and collisions are often the result of a range of factors including the driver’s abilities and decisions, the vehicle, and the conditions of the road. Highway and roadway planners consider these factors when developing new roadways and improving existing streets to enhance the motoring public’s safety. Their efforts usually involve engineering, traffic law enforcement, emergency medical services, and educating the public. The April death of a construction worker killed by a falling beam has led OSHA to fine the worker’s employer and to issue multiple health and safety citations. 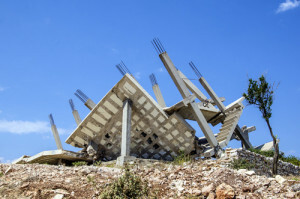 According to OSHA, the company overstressed the beam during a demolition project, resulting in the beam’s failure. 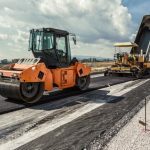 A commission has been set up to review OSHA’s findings and determine whether the fines and citations will stand and what additional measures will be taken by the Illinois Tollway. This particular case is representative of the form of negligence our Chicago construction accident attorneys see at Rosenfeld Injury Lawyers LLC on a routine basis and is why we fight so passionately on behalf of workers’ interests. 47-year-old Vicente Santoyo was killed while working for Omega Demolition Corp. on the demolition of the I-90 bridge near Touhy Avenue. According to OSHA’s report of the events, he was cutting the bracing between two beams when one of them fell on top of him. Santoyo was among numerous workers injured in the incident, but the only one who died. OSHA determined that Omega Demolition was at fault for the incident and issued a fine for over $152,000 in addition to multiple health and safety citations. Even though the temperature was hovering around freezing with a slight breeze blowing from the southeast on the morning of April 5, 2016, it was not the weather that claimed the life of Mr. Vincente Santoyo along Interstate 90 in Des Plaines. Instead, the Elgin Omega Demolition Corporation worker was tragically killed by a falling 45-ton beam at a freeway construction worksite. The incident also caused serious injuries to three other employees. A report by the Chicago Tribune notes that construction site crew members were removing the beam by using heavy equipment on Touhy Avenue under the Jane Addams Memorial Tollway (Interstate 90) when the accident occurred. The critically injured 47-year-old victim was rushed to Advocate Lutheran General Hospital where he was later pronounced dead. The Chicago-area native had worked in the construction industry for more than two decades. The incident occurred on the old westbound lanes portion of the interstate that is part of the massive reconstruction I-90 project. The construction job involving the widening of the existing roadway between Chicago and Elgin to eight lanes has caused massive traffic problems at the busiest times of the day. To complete the project, these lanes were temporarily closed down and traffic redirected on the eastbound portion of the road that had already been rebuilt and completed. It remains unclear if the incident that took the life of Mr. Santoyo will delay construction and the final completion of the freeway widening project. While the Occupational Safety and Health Administration would have all businesses perform routine health and safety inspections, not every employer is required to. Businesses which have employees perform more dangerous job functions or work with hazardous machinery or materials may be required to comply with more strict regulations and perform regular inspections in order to ensure that a safe environment is provided to workers. Regardless of whether a business receives a mandate from OSHA to perform routine inspections, employers can be held liable if OSHA believes they have failed to take measures that are considered reasonable to reduce the chances of injury. It is a proven fact that routine safety inspections can save lives and employers need to be more willing to actively participate in programs that will reduce workplace accidents. Regular safety inspections can identify problems with machinery well before they become a hazard to workers, but employers often push back against mandated inspection schedules in order to avoid costs associated with regular maintenance and repair. It is a sad affair when the safety of employees is not valued more than the costs required to ensure that every employee makes it home from his or her shift. OSHA requires facilities and worksites that maintain or operate certain forms of machinery to perform regular inspections and make repairs to machinery when appropriate because, when left to the employers’ discretion, these inspections may not be performed. 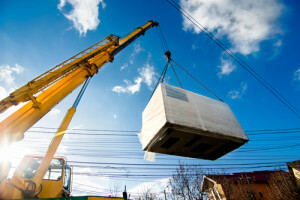 New crane safety regulations are now in place for New York City following a tragic crane collapse on February 7th that took the life of an unsuspecting victim who had been on his way to work and injured three others. The accident that resulted in his death is thought to be directly linked to high winds, and the crane collapsed as workers were in the process of securing the crane and diverting traffic. Precautionary measures proved futile as the crew was unable to prevent the crane from falling onto the street below. New York Mayor Bill de Blasio responded by tightening regulations and increasing the amounts of fines to be assessed against offenders. The new regulations now require all crane engineers to pull their cranes down the day before any forecasts that call for winds in excess of 20 mph and all operations must be halted at once any time unexpected wind gusts exceed the same speed. 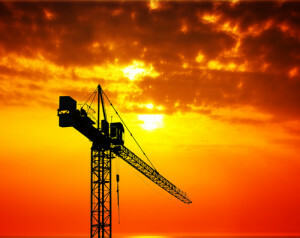 Other precautionary measures include closing off walkways and streets in areas that crane activity poses a threat to in the event of a collapse in order to reduce the chances that a pedestrian or motorist will be involved in any accident that results. A tragic accident at Ford’s assembly plant in Chicago claimed the life of a construction worker earlier this month and critically injured another who attempted to assist the first worker. Whenever an accident claims the life of a worker, the Chicago construction accident attorneys of Rosenfeld Injury Lawyers LLC always pose the question of whether the incident could have been prevented with more adequate safety measures or policies designed to protect employees from workplace hazards. 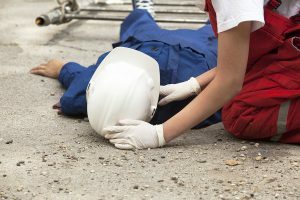 If you have lost a loved one or suffered serious injuries due to a workplace accident, it is important to know your rights so that you may recover the compensation you and your family are entitled to. John Jaloway was killed after an eight foot by eight foot concrete wall collapsed at the assembly plant located at 126th and Torrence Avenue. His death was the result of multiple blunt trauma injuries that he received during the collapse. He was 45 years old. Another worker attempted to rescue Jaloway during the incident and suffered critical injuries during the attempt.